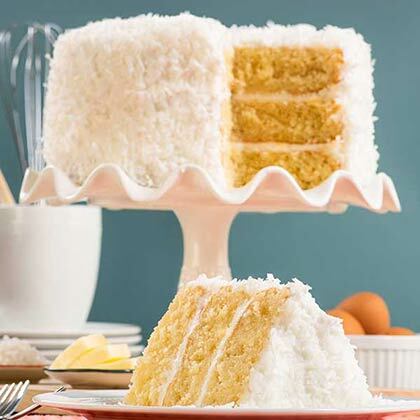 Savannah Candy Kitchen's best selling Southern Coconut Layer Cake is three layers of luscious yellow cake, coated with handmade frosting filled with real coconut. This Coconut Cake's classic taste has made it Savannah's favorite dessert year after year. A dear friend of my is very ill, and all she wanted was a coconut cake. I researched many websites and settled on Savannah Candy Kitchen. So far, I've sent her three of your cakes (and recently one for myself) and they never fail to delight. Thank you. I bought two of these coconut layer cakes, one for my 1 year old grandbaby who was born on March 1st for her "golden" birthday. the other was shipped to my brother who celebrated his birthday today March 8! 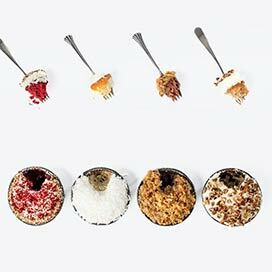 It is the best coconut cake I have ever had! My mother was an excellent baker and I thought hers was good! I was a culinary arts teacher and a food critic. But, it is 2 die 4! Enjoy the day! Eat the cake! You will not be disappointed! Smells divine! Tastes even better! I sent this to my daughter and son-in-law for Valentine's day! Absolutely delicious was their report! Not just quality but quantity!! A big cake!! So pleased with your company! Thank you. We ordered this cake as part of my son in laws Christmas Day Birthday celebration. He loved it! 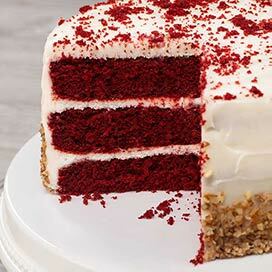 And we all agreed it was the best cake we had during the holidays. It will become a Christmas tradition!